Protect your internet connection from malicious activities and vulnerabilities with the best secure routers 2019 on the market. Routers are a necessity nowadays when it comes to modern living. It’s especially important for people who do most of their work online and at home. Apart from that, home entertainment is starting to move pass cable. Most people stream breaking news or their favorite shows like Game of Thrones and the like on their computers or smart TV’s. Our top picks are mostly Gigabit routers supporting fast speeds. They each have a powerful processor and a reliable hub for good connectivity. Our budget range is pretty wide too, from budget options below $50 to a good splurge above $200. We have chosen the best for different categories to hopefully help you decide better which one suits your needs. Synology’s RT2600AC router is a security-concentrated unit ideal for both small business and home use. It features a design inspired by NAS (Network Attached Storage industry) and sports four 4 x 4 802.11ac antennas. 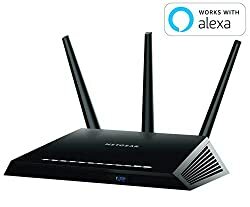 These extend signal range while also supporting internet speeds of 2.53Gbs. Furthermore, to support this speed and bandwidth sharing between multiple devices, the Synology RT2600AC has MU-MIMO and beamforming technology. Intrusion Prevention – increases built-in security against potential attacks. Although many are impressed with this router, they find its support process inconvenient. This router impresses in both performance and build. With a package of multiple features and extras, many customers find it easy to love. We definitely appreciate its solid firmware and security options. Meanwhile, when it comes to controls and management, it’s easy to manage through its web console or app. The only missing thing to make it perfect is a good support structure. Many customers aren’t a fan of its e-mail based ticketing support. However, looking at the best price for an excellent performance and a full-featured package, the Synology RT2600AC is still a great choice. What makes an award-winning router? What about 1024-QAM technology, 5000 sq.ft. of coverage area, and speeds reaching as fast as 1000 to 21000 Mbps? That’s what the Asus RT-AC88U can give. The tech in the AC88U gives you speeds 80% faster on the 5GHz band and 66% faster speed on the 2.4GHz band. Additionally, designed with 4 antennas that transmit and receive signals, you get wide coverage range with stable signals over WiFi. Top it off with a quadrupled capacity thanks to its MU-MIMO technology, then you’ve got one excellent router. Now, when it comes to security, the AC880 comes with the ASUS AiProtection by Trend Micro. This Trend Micro service also comes with parental control, as well as added protection for web browsing. It can identify network vulnerabilities as well as malicious sites as you browse. With the AC880, you get quality performance and speed, while also making sure you download, stream, and surf safely. Some users say you need to be a bit techier to optimize the use of the router. If you need a router that supports both security and speed, the ASUS AC3100 will do well for you.More than performance, its AiProtection feature by Trend Micro provides added security to your network. So in spite of multiple users on its wide range network you can be safe from malware and viruses. Expensive as it may be, it’s feature-packed with solid performance supported by its MU-MIMO tech and smart design. So over-all, it may be best in security but you also get more for the price. It was rare to get a solid device with excellent performance for a budget-friendly price. That was until the Linksys EA6900. Now, this router is popular in the secure router space for having the simplest of setups with solid speed delivery. 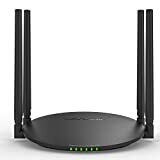 It sports a simple black design with 3 adjustable antennas for adequate signal distribution at home or in the workplace. The Linksys EA6900 comes with a pre-configured network available. It boasts speeds of 600Mbps on the 2.4GHz band, while giving up to 1300Mbps on the 5GHz band. Furthermore, despite being priced much less than other brands, it features a dual-band output beamforming technology. Interested in reading more reviews? Take a look at our selection of the best budget routers. There were reported connectivity stability and range concerns from some customers. Comparing the Linksys EA6900 to pricier options, it offers performance and security close to more expensive models. For less than $100 you get a high performing router that is easy to set up. Plus,it includes the latest beamforming tech. Meanwhile, security-conscious users will not find it lacking either. For the budget price, you get NAT and SPI firewalls, and other security features for safety againstnetwork attacks. A higher price tag can be discouraging, but with the eero home WiFi system, you do get what you pay for. It’s unlike your typical black router and delivers no dead zones, super simple set up and a solid security system. They sell in packs of two or three units because ideally you need one unit to cover every 1,000 sq. ft.
As you’d expect a mesh network to provide topnotch security, the eero delivers. You need not worry about complications on network setup or configuration. Any heavy lifting in that regard happens on the backend. This means fewer chances of incorrect setups that lead to network vulnerabilities. 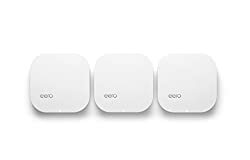 This first gen model from eero features dual-band WiFi radios and allows wireless connectivity for both 2.4GHz and 5GHz. And worry not, because for that price you do get a 2x2 MU-MIMO technology and 802.11a/b/g/n/ac support. It’s like an internet blanket over your home so you get no dead zones. With that super easy setup you get superior security directly supported by eero’s manufacturer. Any time that a network vulnerability is detected they send security update patches via the cloud to all eero customers. This means you get an outstanding network performance along with close to real-time data protection. Check out our list of the Best Mesh Wi-Fi Network Systems to see the top picks. While it hasmany positive reviews, customers seem to have trouble with product support whenever they encounter connectivity issues. The eero, despite its price, attracts in many ways. For one, you get no wires (can be made to be almost invisible). Then it’s almost as simple as plugging a night light. Finally, you get superb wide WiFi range that with solid network protection. If you’re out there specifically looking for a mesh, then you should definitely check out the eero. When it comes to open-sourced routers, Linksys definitely makes a name. The Linksys WRT AC3200 definitely delivers to the brand to. With its Tri-Stream 160 technology, it provides twice the bandwidth and well-sustained speed compared to dual-band routers. The Linksys WRT AC3200 also comes with MU-MIMO technology or multi-user multiple input/output. This means devices on the network get constant, stable, and optimal network speed without interrupting each other. However, more than these features, the Linksys WRT AC3200 is popular for its security-focused design. With this router, you can control and monitor security options and status conveniently through the Linksys Smart WiFi smartphone app. Through the same app, you can set up a secure VPN, observe and analyze network activity and easily detect network intrusions. Finally, its open-source nature lets you download “packages” provided by trusted open-source distributions like DD-WRT or OpenWRT. There were some reported problems after a firmware update. 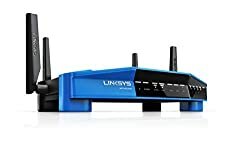 If you’re specifically looking for something that is open source ready, you can’t go wrong with the Linksys WRT AC3200. It has the right package and performance to go with your open source requirement easily managed through its app. Just the look of the ASUS RT-RT-AC5300 and you can feel the range on this device is promising. Under that solid design is a packaged tri-band performance including dual 5GHz on 802.11ac 4 x 4 tech. With that power, it can cover 5000 sq.ft. of space without signal wavering anywhere. The Asus RT-AC5300 also comes with MU-MIMO technology so you get the fastest speeds and solid performance. 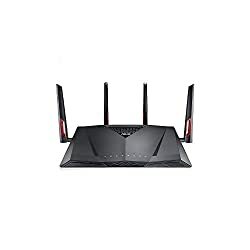 That stable connection for gaming sessions, coupled with access WTFast Gaming Private Network makes it one the gamer’s favorite routers. To top all those security features, it can also identifyany existing device on the networktransmitting persona data. And it canstop the device before data passes through the firewall. Most poor ratings are 3 star reviews that feel that the unit could perform better for its price. Meanwhile, there are also reported concerns after a firmware update. The ASUS RT-RT-AC5300 earns our “Best in Range” for its ability to cover the widest area. However, more than range, it delivers solid performance, fast speeds and a strong security suite. All that packaged with access to WTFast makes it a gamer’s dream too. Google’s OnHub AC1900 shows they’re more than a big search engine as they enter the router manufacturing space. In partnership with TP-Link, they created a strong design delivering fast speeds and wide coverage. That’s speeds of up to 1900 Mbps and 25,000 sq.ft. coverage rendered by its 13 antennas. To share that fast speed width and range, this powerful hub can connect more than a 100devices simultaneously. All easily setup and managed through Google’s On App. The Google app helps admins monitor the network easily through any Android or iOS-powered device. As for future-proofing, Google is dedicated to ensuring continuous automatic software updates. This means the OnHub will get updated software consistently, to ensure security against identified internet threats. 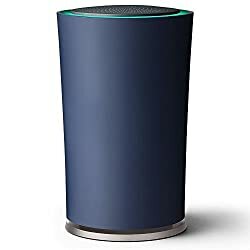 All that packed in a wireless cylinder shape design takes it far above the mundane black router. Users find the performance on the average side, and more advanced users prefer to have access to a more advanced setup of the device. The Google OnHub’s cylinder design packed with high speeds and a top-notch range is truly attractive. Though performance is on the average side, the promise for continued software updates means high potential for improvements. 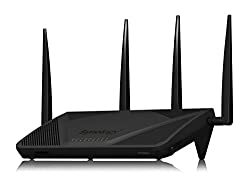 Serious gamers looking for maximum performance at a fair price will love Netgear’s Nighthawk AC1900 (R7000) Wi-Fi router. It’s the best option for gaming when it comes to high speed, security and controls. Plus, with its Dynamic QoS, it allocates bandwidth to the real-time application that most needs the signal. While the R700’s Dynamic QoS provides optimal performance for internet activities, it also supports speeds of 600 and 1300Mbps. This gives you uninterrupted, fluid, HD streaming, video chat and of course, online gaming. Moreover, all of that is easily setup within minutes from unboxing. Still can't decide on what you want? Our round-up of the best gaming routers can help you find what you're looking for. Now, along with solid performance, this router also comes with a solid security suite. It’s something that both parents and security-conscious gamers will appreciate. These controls include web-filtering levels, Open VPN and parental controls that ensure a controlled and secure access to your home network. The R7000 is a solid gaming router for under $200 with just the right features set. From fast speeds, security features to a good design, it’s an easy gamer pick for its price.It comes with just the right features to support your gaming needs as well as any other online activities at home. The TP-Link AC1750 may look as plain as a router can be. However, for a price under $100 you get more than fair dual-band performance with this router. Apart from easy controls like its one-touch WPA wireless security encryption, it has a WPS button and a WiFi on/off switch. The latter is a plus as most routers only have this control via firmware. It’s a push to expect tech like MU-MIMO for its price.However, it does have beamforming and is designed with 6 antennas that provide good signal and bandwidth. As for security, controls and management are available through the Tether app. It lets you manage settings for guests sharing options, security, firmware updates and device options. It has security features that ensure WiFi access for any small home or office network. Average users find setup to be too complex. While the TP-Link AC1750 comes as a budget router, it performs in the league of more expensive ones. 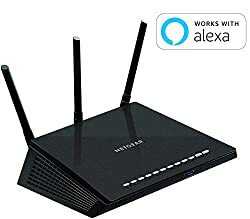 It has a solid connectivity HUB and feature set that beats other budget routers in the market too. What do you get from a router less than $50? Good performance and feature set through the WAVLINK AC1200. You’d think you’re just getting a simple box, but this router comes with just the right tech for good connectivity. Sporting a disc design with 4 patent omnidirectional antennas, the WAVLINK AC1200 provides a fair range. It also supports speeds of up to 300Mbps and 867Mbps for 2.4GHz and 5GHz bands simultaneously. Security-wise, this router isn’t lacking either, with its Advanced Wireless Security supporting WPA/WPA2/WPS encryption standard. Finally, with its Genie app you can easily secure your network and connect to wireless digital devices easily. 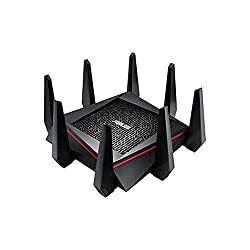 Not yet a popular router, but only has a few complaints on setup configuration complexity. For the speed, range and features set you get under $50, the WAVLINK AC1200 is a true bang for the buck. So if you’re looking a router that supports basic internet activities and even some video streaming we would recommend it. The RT2600AC by Synology tops our list of the best secure routers when it comes to a good package overall. It delivers impressive performance in speed and range, plus comes with a good range of control options. Additionally, despite its wide feature set, it’s quite easy to manage the device and internet settings and controls. It provides excellent performance with the latest MU-MIMO and beamforming tech, and features a solid hub. It delivers this with a solid wide range supported by a NAS-inspired design. Finally, it provides solid security with its AiProtection powered by Trend Micro. 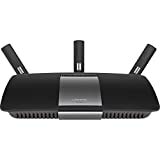 The RT2600AC is the best, but depending on your budget or need, there may be a better router for you. Our list has covered budget to gaming needs, but if you feel like we missed something let us know in the comments below.